Made in the traditional method with two years on lees, this wine exhibits scents of white pear, brioche and freshly zested limes, underscored by tones of green apple skin and jasmine flower. A pure, vibrant palate entry of tight natural acidity and fine engaging tannin are brought into balance and lent a pristine density by a fine, custard-lined mousse and creamy underlay. White flowers, pear flesh and mother of pearl persist throughout the length and finish. Made from fruit off our coolest vineyard, this wine is an elegant style of Shiraz. In colour it is deep purple with rich red streaks and spicy aromas of glazed pears. Cinnamon and cloves form an underlay to darker aromas of raspberry jam, baked orange rind and white pepper.The palate is bright and spicy, with hints of leather, forest floor, cracked allspice and dark chocolate forming a complex medley to fine grained layers of tannin and textures of bay leaf, black olives and spiced apricots. The finish is long and dark, with fresh tones of white pepper and citrus blossom left lingering. This Chardonnay is tinted pale green with yellow hints. 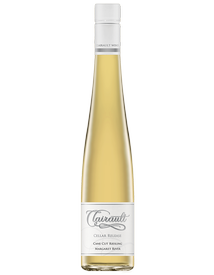 The aromas are fresh and vibrant, consisting of peaches, cream, nutmeg and crushed lime. The palate has a balanced entry of dense stone fruit and lively citrus flavours. Coating acidity and fine texture lead to a finish of nectarines, toasted nuts and lemon curd. Aromas of cherry blossom, mulberries and cedar dappled with hints of cigar box, aniseed and blueberries. The palate entry is focused with unbridled precision and drive. Fine grain, yet coating tannins descend into a dark fruit core held in perfect balance by taunt acidity and perfectly framed fruit tannins. A luscious finish with yet more cherries and simmering French oak leaves one both famished and nourished. Cellar for up to 20 years, however we enjoy it for freshness now. The rich aromas of this dessert wine show hints of brioche and ginger-nut on top of bolder scents of sultana and honey-toast. The palate enters with a concentrated sweetness developing into a broad, toasty finish dappled with hints of shaved almond and toasted spices. The syrupy texture is elegantly balanced out with a succulent acidity and spring-blossom finish. A pale green chardonnay with mother of pearl flecks and a fragrant white pear, jasmine flower and subtle brioche and wet granite bouquet. The palate has an oyster shell and white pear medley of texture and flavour, honed to a delicate yet firm core of structured oak and fruit. The palate is laced with unyielding purity, letting its grip go only towards the end to allow for a hint of nectarine generosity and lift on an otherwise mineral finish.